2018 is the UK’s Year of Engineering, the government campaign to promote and celebrate one of the country’s most dynamic industries. As the year comes to an end, what are the concerns occupying the sector’s leaders? The Future of Engineering special report, published in The Times, covers how a lack of sufficient funding for research and development is holding innovation back, and addresses what can be done to encourage more women to join the industry. It explores the new importance of so-called soft skills in engineering graduates and the need for an overhaul of the patents system. Also featured is comment on how engineering can spearhead the fight against climate change and an infographic on the work to be done to counter the sector-wide talent shortage. 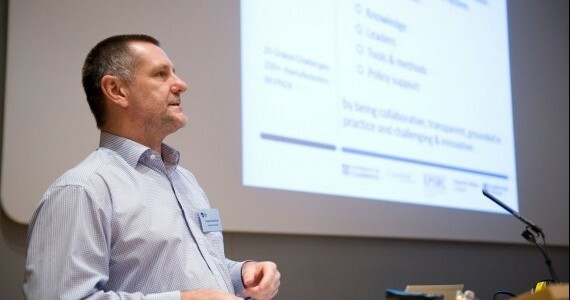 The report features an opinion column by the IfM's Professor Steve Evans who discusses the ongoing challenge faced by sustainability engineers. Read Steve's opinion piece on The Raconteur website or you can download the full report for free.